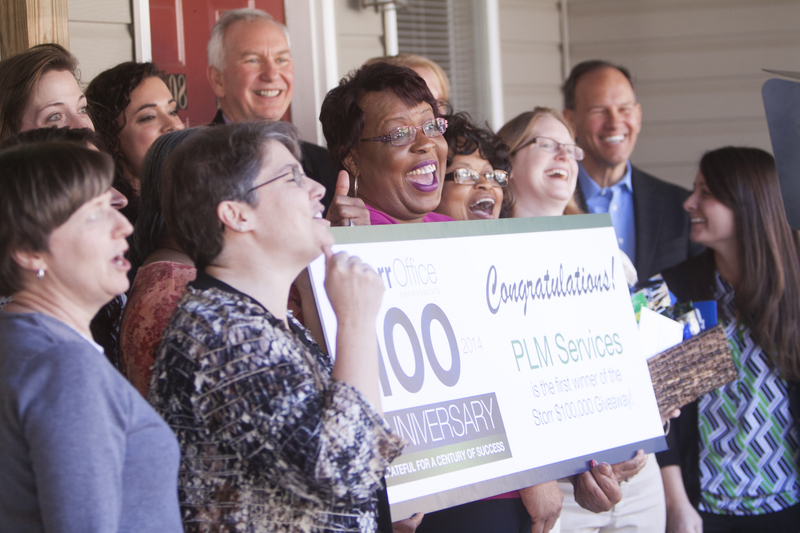 On March 10th, as part of Storr’s $100,000 Office Makeover Giveaway, Storr awarded the first of its two office makeovers to PLM Families Together, a Triangle-based nonprofit that helps families move from homelessness to stable housing. Since the announcement, Storr’s design and project management teams have worked directly with PLMFT’s leadership to best determine how their office space can be improved, ultimately allowing the entire team to make an even bigger impact on the community. “Our goal with this giveaway is not only to provide an inspiring workspace, but to ensure that this nonprofit is able to work smarter and more efficiently in carrying out their mission,” said Tom Vande Guchte, CEO of Storr Office Environments. Founded in 1980, the PLM Families Together program is designed to reduce the length of time a family is homeless and to support them in their return to permanent housing. Mentor Advocates (Masters-level social workers) work closely with each family to arrange for needed services, provide guidance, assist them in finding a home that they can afford, and continue working with them for 12-14 months. At any given time, the PLMFT staff is helping 120 families. Storr is also helping PLMFT raise funds to update the 6 kitchens in their Short-term Housing apartments, which are nearly 20 years old. The matching grant of up to $9,000 will help pay for much-needed renovations. Additionally, PLM Families Together is in the middle of its Annual Campaign that runs until the end of April. Funds raised will help the organization reach its goal of transitioning 85 families into stable housing this year (that’s one family off the streets every 4.3 days). If you would like to learn more about PLM Families Together and how you can get involved, visit www.plmft.org. Office makeover updates and photos will also be posted on www.storr100.com.